NHIS boss dares health minister, says he won’t obey suspension order – Royal Times of Nigeria. Suspended Executive Secretary of the National Health Insurance Scheme (NHIS), Usman Yusuf, has officially replied the Minister of Health, Isaac Adewole. 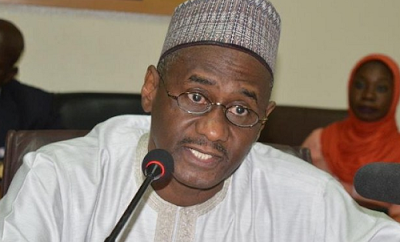 In his letter dated July 12 on the official letterhead of the NHIS, Yusuf said he would not comply with the July 6 suspension order, giving five reasons why he would not comply with the suspension, Premium Times reports. His suspension came weeks after the Senate launched investigations into his activities as the NHIS chief. The lawmakers accused Yusuf of corrupt expenditure of N292 million which he allegedly spent on health care training without recourse to any appropriate approving authority. The NHIS chief has denied any wrongdoing. On Wednesday, the House of Representatives asked the health minister to recall Mr. Yusuf. Mr. Adewole had ordered the suspension to allow for unhindered investigation of the corruption allegations.